Justin Drew Bieber is Canadian singer, songwriter and actor. He gained fame thanks to videos uploaded by his mother to YouTube, then one of the videos saw his future producer. 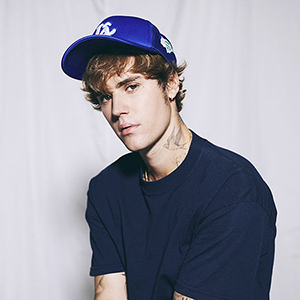 November 17, 2009, Bieber released his first mini-album, My World - it gains gold and platinum status in many countries, so his popularity grew to the top of show business. "Baby", the single from the debut album My World 2.0 was released in January 2010 and became a hit. The single became number five in the United States and hit the top ten in seven other countries. Its video for a long time was the most viewed and most discussed on YouTube. This and further work made him an icon of worship for girls, which allowed him to sell estimated 140 million records, made him one of the most successful Canadian performers and brought many awards.